Will Make Beats For Food : The Corner Radio Hosted by Kil: How Did Sampling Clearance Change Hip Hop? 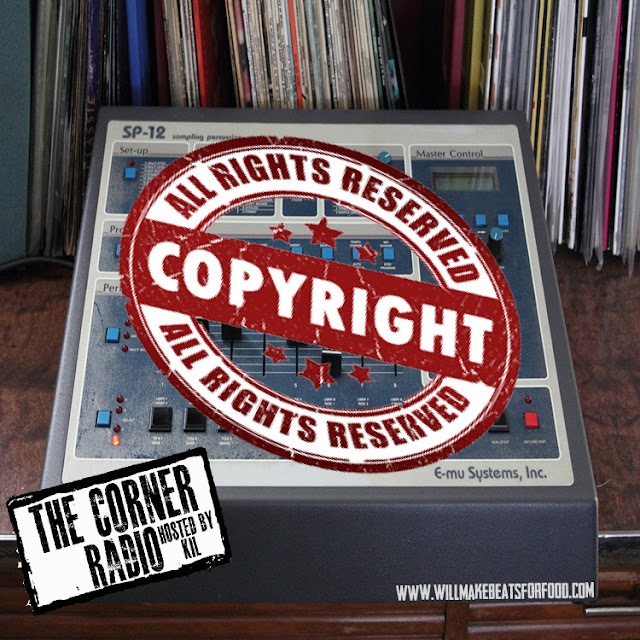 The Corner Radio Hosted by Kil: How Did Sampling Clearance Change Hip Hop? Check out the new episode of my podcast The Corner Radio where I'm chopping it up with Ev, DJ Wreck 1, Vegas, Jas and Nick about exactly how sampling clearance changed hip hop. Basically, I'm of the belief system that it slightly changed the game where as some of the other folk on the panel feel like it REALLY changed the game. My question is, the infamous Biz Mark/Gilbert O'Sullivan sampling lawsuit happened in '92 and if that's the case that "changed" hip hop, then why are 90% of the hip hop golden age classic album that dropped post '92 all have samples in them? We're also looking at when did our own laws of sampling change within hip hop from only using old records to sampling music that JUST came out like Jay did with sampling the Menahan Street Band and J Cole sampling Jennifer Hudson? We also try to look at it from the other side of the fence and what if we were the artists being sampled, would we be cool with folk using our music and would we be trying tap rapper's pockets or would we be willing to work with them? ANOTHER dope ep ya'll and don't forget to subscribe to our You Tube Channel!